December 8th and 9th, 2007 at 3 p.m. The last page in the program says it better than anything else. 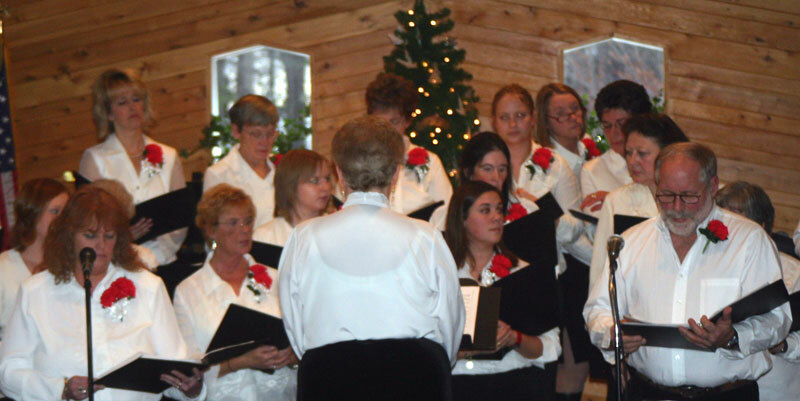 "This beautiful Christmas program is our "gift" to the community of Beaver Island. The Cantata Choir will be performing selections of music from past Cantatas and a few new pieces that we know will soon become favorites!" 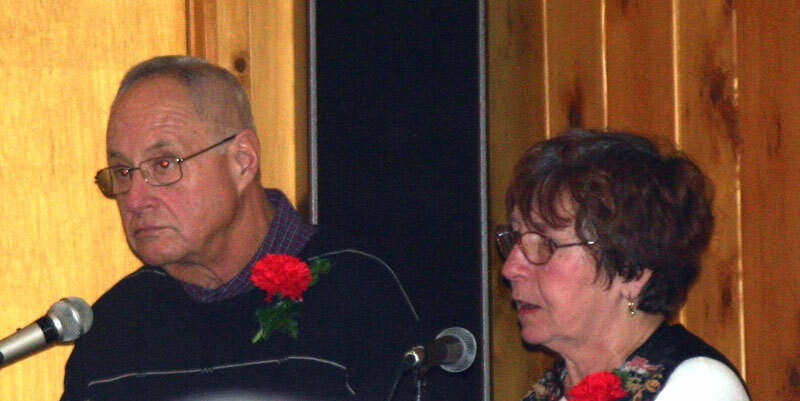 "We especially remember today a special friend of our choir and the entire Beaver Island community, Joy Green. 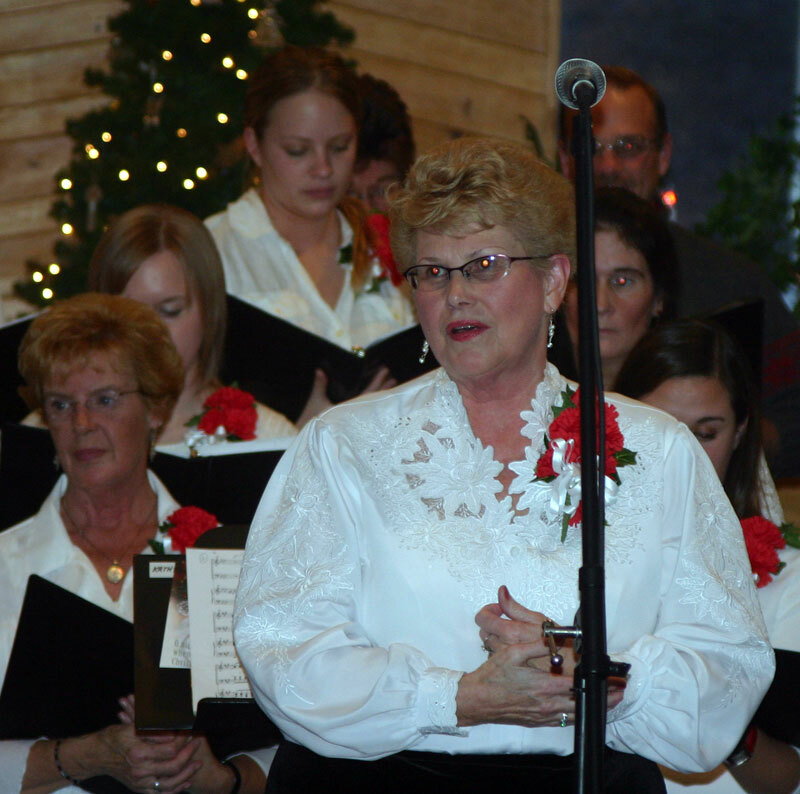 We dedicate our 2007 Christmas Cantata in memory of her." Close to two hundred people, not includng performers attended the two performances, making it one of the most successful Cantatas in the seven year history of this performance. 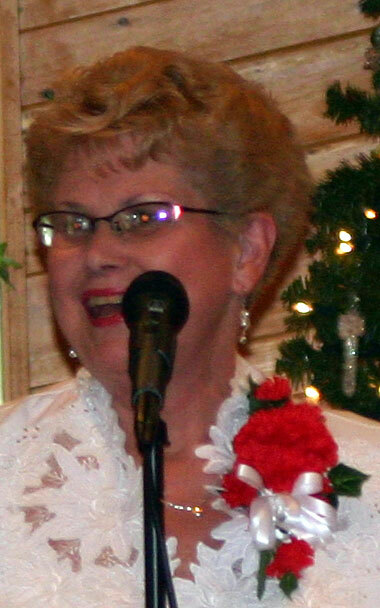 Kathy Speck, director of the Community Choir, acted as the MC for this event. Her thoughtful introductions were appreciated by all those who performed. Kathy never forgot to thank each and every performer after the performance. 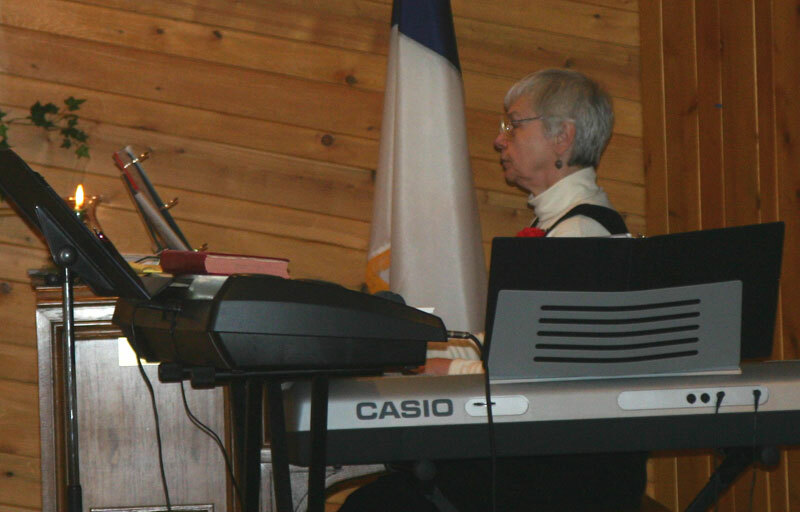 The program began with a heavenly piece performed by Judi Meister and Laraine Dawson, on piano and organ, "O Holy Night." 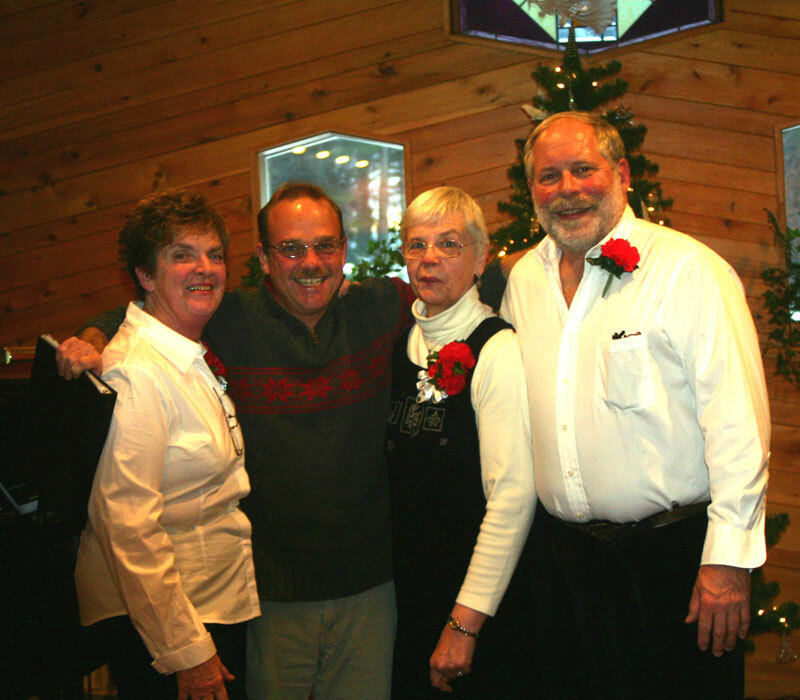 With a new member joining the Quartet in singing "O Come, All Ye Faithful," Kevin White sang a beautiful bass along with Jayne Bailey, soprano; Jean Palmer, alto; and Mike Scripps, tenor. 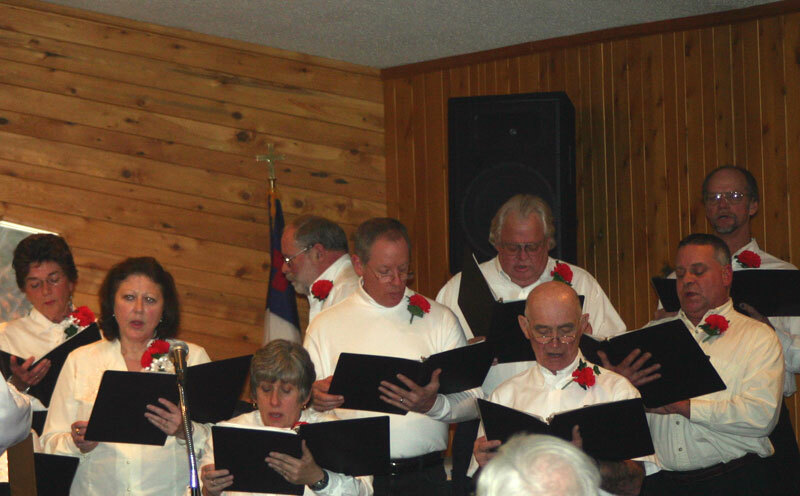 The Beaver Island Recorder Group was next on the program. With new member Davi Stein on soprano recorder, their rendition of "I Wonder as I Wander" displayed wonderful harmonies with these older instruments. 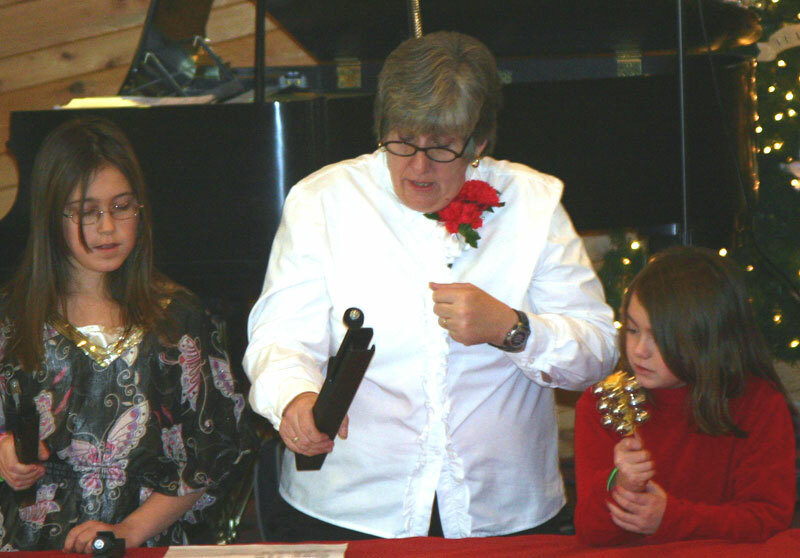 The group included Julie Roy on tenor, Jayne Bailey on alto, and Joe Moore on bass. A second piece performed by the recorders included a gorgeous solo voice in Christy Albin and a wonderful continuo bass and harpsichord by Loraine Dawson-"How Sleeps This Little Child." 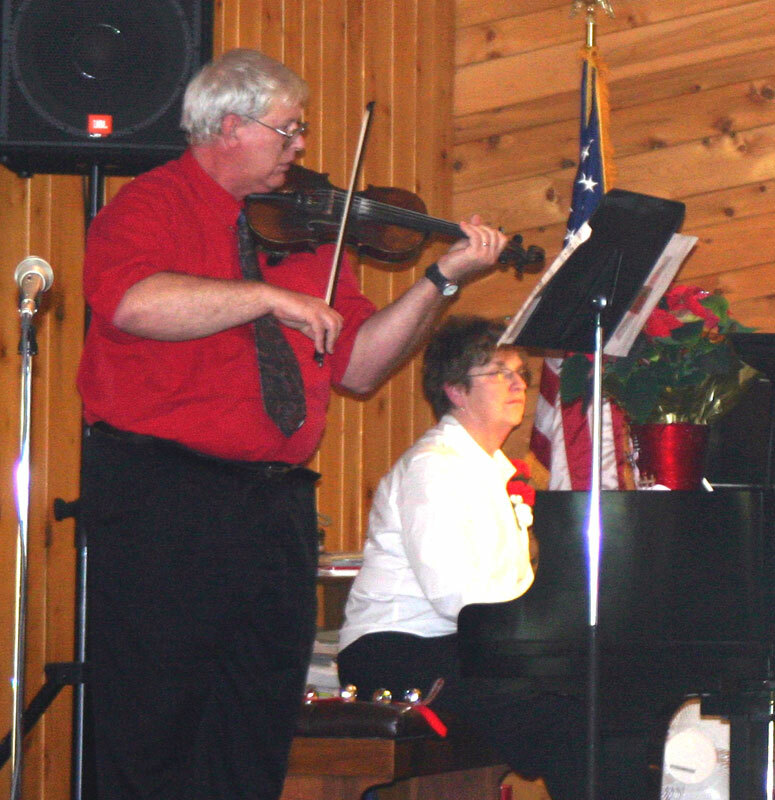 Kathy's introduction of Joe Moore and Judi Meister was, "Would this annual event be considered complete without the violin and piano playing 'Ave Maria'"? 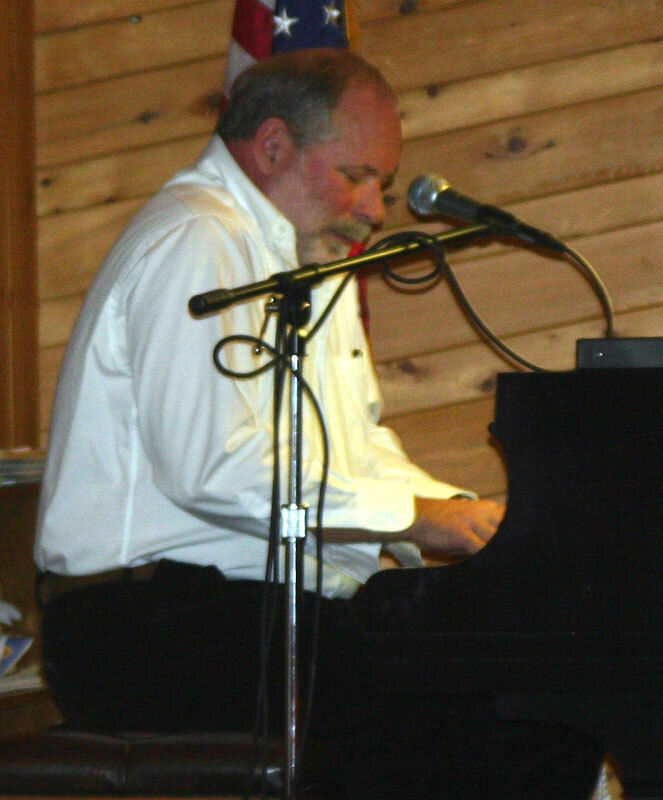 Next, Mike Scripps sat down at the piano bench to play and sing a thought-provoking and professional version of "Ordinary Baby." 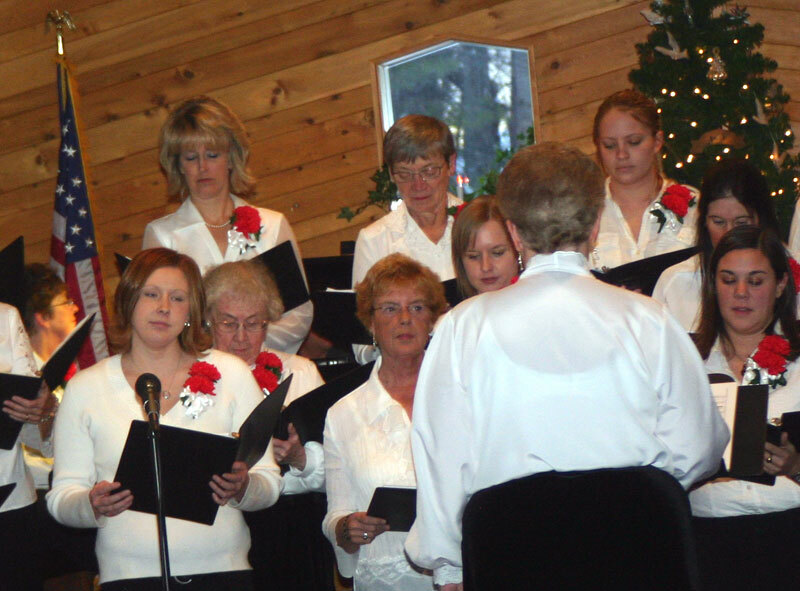 A newly formed female quartet, performed the requested song, "White Christmas," to the delight of the entire audience. 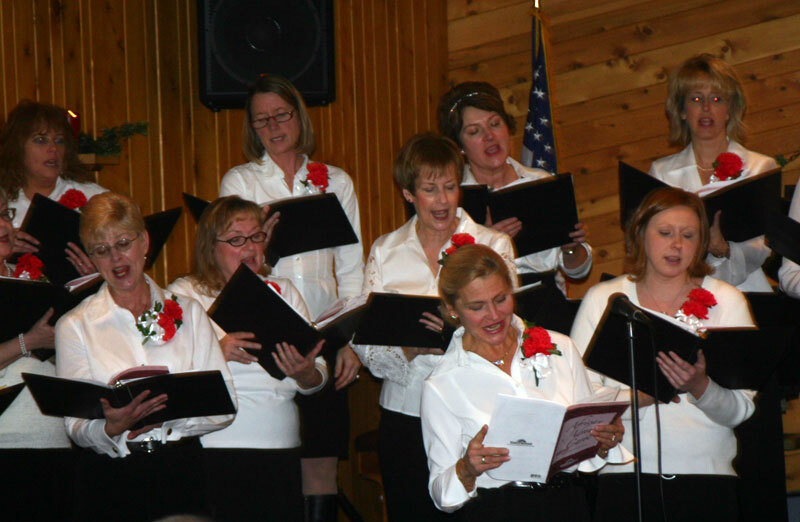 Members singing today included Jayne Bailey, Shelly Scripps, Marianne Weaver, and Elaine West. 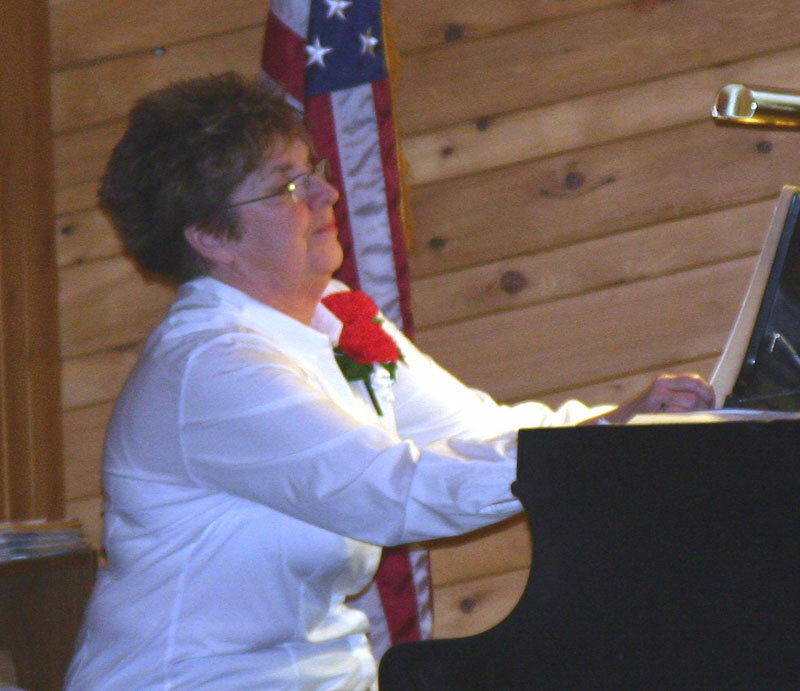 Next on the program was an absolutely extraordinary keyboard duet entitled "Carol Medley" which was performed by Scott Kasbaum on piano and Laraine Dawson on organ. The virtuoso piano part was performed flawlessly. The school children performed with singing and chimes for two very traditional songs: "Away in a Manger" and "Silent Night-Holy Night," which was followed by an adult group performing using the chimes to three additional joyously and heavenly bell songs "O Come, O Come, Emmanuel," "Carol of the Bells," and "Joy to the World." The very short pause was not deemed an intermission, but a timely furniture re-arrangement, as the chimes were packaged up and the tables removed in preparation for the entrance of the Cantata Choir. 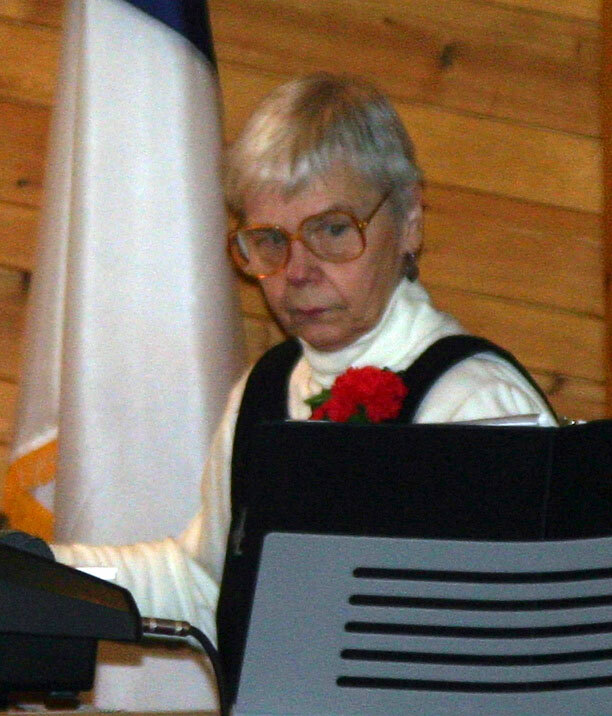 The Cantata, entitled "Prepare Your Hearts" with written narration by Deb Plastrik began with the entry of the Cantata Choir. Wonderful selections from previous Cantatas began the program. "Listen, Listen to Christmas" was an old time favorite brought back to remind us of the previously gorgeous performances. 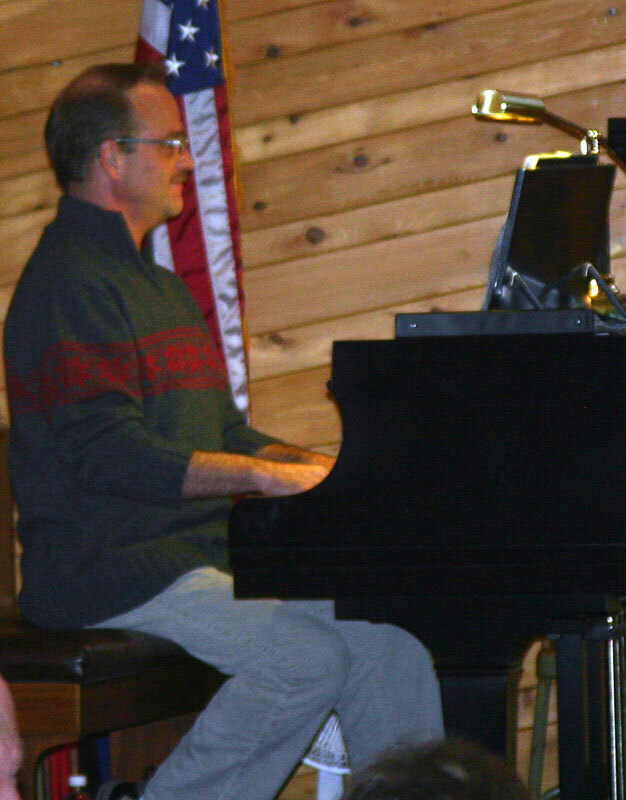 That was followed by "Salvation Will Come," another rich harmonic performance. Miranda Rooy's solo was a beautiful nostalgic piece "Breath of Heaven (Mary's Song)"
Sheri Timsak and Mike Scripps brought tears to our eyes singing the "Song of Mary and Joseph." Perhaps the all-time favorite song, "Mary, Did You Know/" was sung with a completely different arrangement that ended with the "I AM" harmonies echoing inside the building. 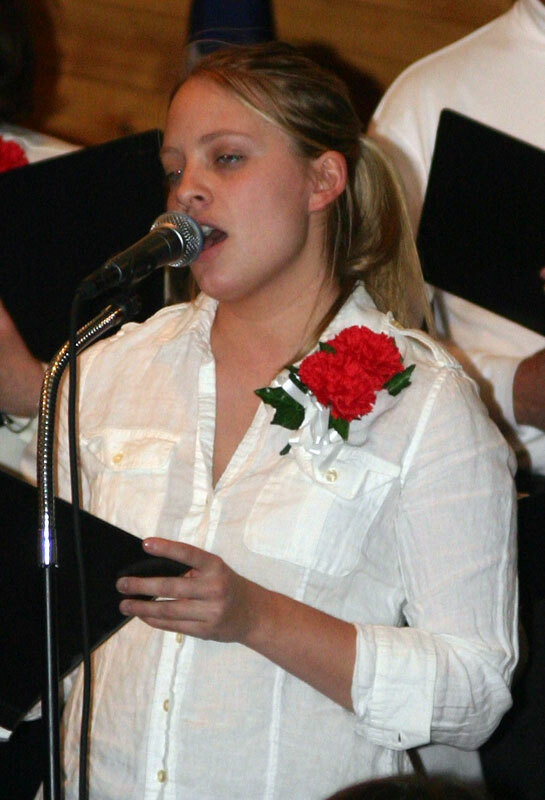 The last song on the program featured Christy Albin as soprano soloist and featured Scott Kasbaum and Mike Scripps on keyboard. The "African Advent Carol" had an African beat with the choir members, purposely or not, moving in time to the music. The encore was the seven-fold "Amen" beautifully sung with excellent intonation and emotional vigor by the entire Cantata Choir and accompanists. Many thanks to all who performed, but more thanks are deserved by our conductors and our accompanists.